A paper by Tanja Aitamurto (Tampere) and Hélène Landemore (Stanford) on an interesting crowdsourcing exercise in Finland. This paper reports on a pioneering case study of a legislative process open to the direct online participation of the public. 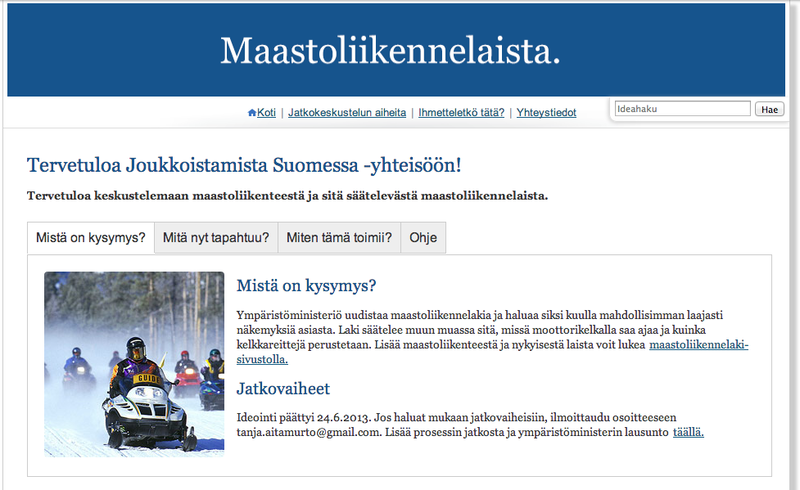 The empirical context of the study is a crowdsourced off-road traffic law in Finland. On the basis of our analysis of the user content generated to date and a series of interviews with key participants, we argue that the process qualifies as a promising case of deliberation on a mass-scale. 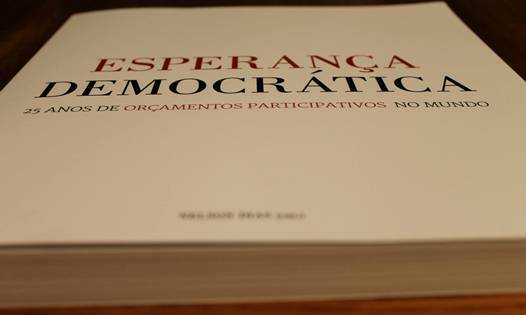 This case study will make an important contribution to the understanding of online methods for participatory and deliberative democracy. The preliminary findings indicate that there is deliberation in the crowdsourcing process, which occurs organically (to a certain degree) among the participants, despite the lack of incentives for it. Second, the findings strongly indicate that there is a strong educative element in crowdsourced lawmaking process, as the participants share information and learn from each other. The peer-learning aspect could be made even stronger through the addition of design elements in the process and on the crowdsourcing software. If there is a “strong educative element” in the crowdsourcing process, we have an argument for large-scale citizen participation. The more citizens take part in a process, the more citizens benefit from the educative element. If we consider point 1 to be true, there is still a major technical challenge in terms of having appropriate platforms to enable large-scale deliberative processes. For instance, I have some reservations about crowdsourcing efforts that use ideation systems like Ideascale (as is the case for this experience). In my opinion such systems are prone to information cascades and a series of other biases that compromise an exercise in terms of a) deliberative quality and b) final outcomes (i.e. quality of ideas). There’s still lots to learn on that front, and there is a dire need for more research of this type. Kudos should also go to the proponents of the initiative, who involved the authors in the project from the start.